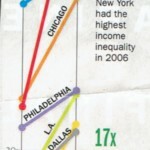 The richest counties got richer and the poorer got poorer in the last decade, according to census reports. 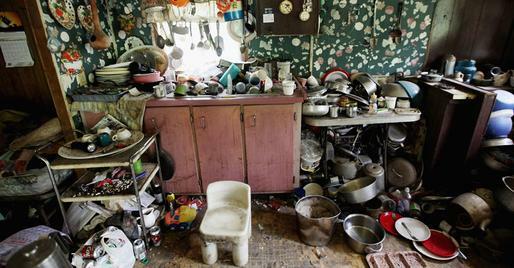 The poorest county turns out to be in the heart of Appalachia — Owsley County, Ky. Owsley had the lowest median household income outside of Puerto Rico, according to census results. 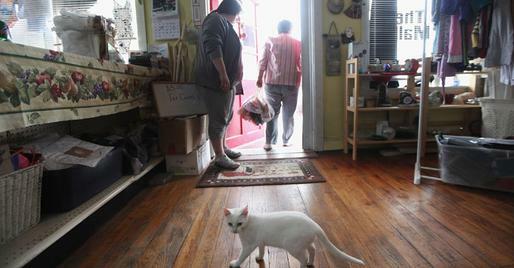 In Owsley, the median household income is $19,351. 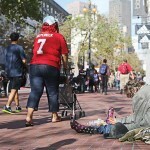 Over 41 percent (41.5) of residents fall below the poverty line. 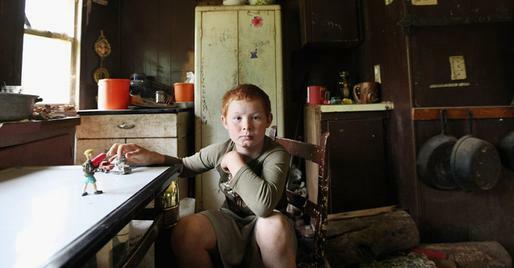 In this photo, Johnny Noble, 9, sits in his uncle’s trailer during a visit. 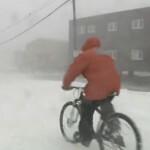 His uncle, Mose Noble is a former chimney sweeper. 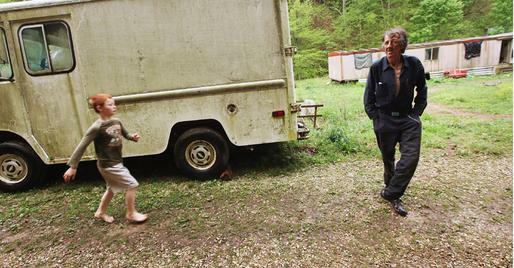 The following is a look at some of the people and places of Owsley County, Ky.
Former chimney sweeper Mose Noble (R) and his nephew Johnny Noble, 9, (L) outside Noble’s trailer. Noble no longer works but volunteers cleaning graveyards. 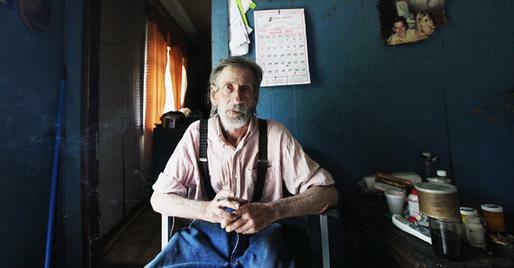 His trailer has no electricity or running water but he receives governmental and neighborly assistance. An old photograph in a restaurant in Owsley County in Booneville, Ky.
Daniel Boone once camped in the Appalachian mountain hamlet which remains mostly populated by descendants of settlers today. Dates Coty Shouse (L) and Destiny Duff pose in front of the vehicle they will take to the Owsley County High School prom in Booneville, Kentucky. The community of around 5,000 struggles with a lack of jobs due to the decline in coal, tobacco and lumber industries along with health issues including drug addiction without effective treatment. The prom is a big event for the area. The community is invited to see the students in their formal wear posing for photos at the school gym. 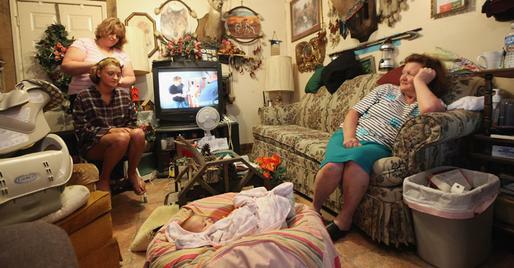 Paul Neace, 72, sits in his home in Booneville, Ky.
A man reads a newspaper in a restaurant in Booneville, Ky.
Drucilla Smith (LOWER L) has her hair done as she prepares for the Owsley County High School prom in her home with sister Linda Hall (TOP L), Layla Johnson (BOTTOM C) and mother Bonnie Smith (R). Familial and community bonds run deep, with a populace that shares a collective historical and cultural legacy uncommon in most parts of the country. 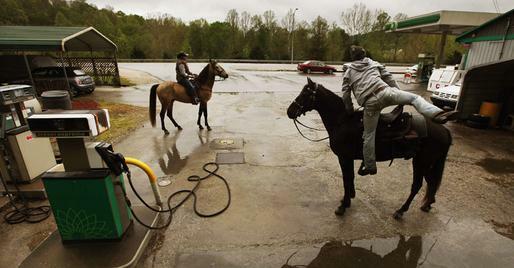 Horse riders prepare to depart after a break at a gas station during the Owsley County Saddle Club trail ride in Booneville, Ky. The trail ride attracts riders from outside the county who contribute much needed revenue. Owsley County Outreach Center director Cleda Turner (C) carries food to be delivered from her thrift store to children as part of the center’s Food Backpack Program in Booneville, Ky. 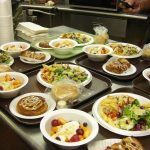 The program delivers backpacks filled with easily prepared meals for under-privileged school children who were found to go without meals over weekends in the county. 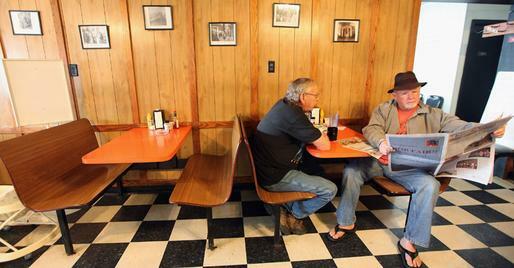 There are still reasons to celebrate in the towns of Owsley. 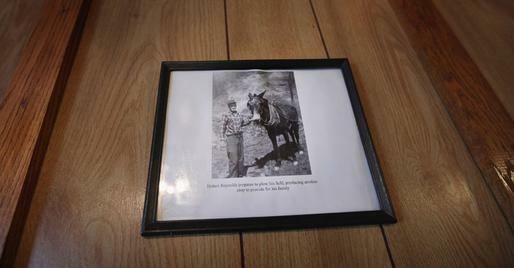 Volunteers are restoring the Noble Pioneer Museum, which contains artifacts of local Appalachian pioneer life; and the Owsley County Saddle Club trail ride rings late into the night each spring. 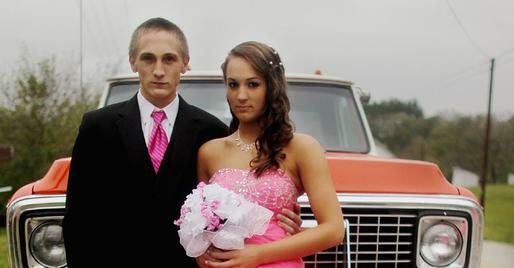 The Owsley County High School prom is a grand affair for teenagers. Married students Starr and Travis Lewis celebrated before the dance with their three-week-old daughter, Ariel. Their classmates, Drucilla Smith and Brittany Brewer, are pictured with their families putting the finishing touches on their tulle dresses dyed pink and baby blue. Family and community members are invited to see the students pose for photos at the gym, celebrating with them the teenage rite of passage – one of the last before a life built on hard work and responsibility as a means of survival. 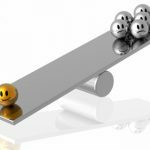 In 2010, 48.6 per cent of the population in Owsley below 18-years-old fell below the poverty line – a seven per cent increase from their parents’ generation.